The Choco Taco is a wonderful beast of a treat. Thanks to its chewy shell it feels somehow more substantial than the average ice cream truck offering. It’s a meal unto itself. In honor of this delightful creation—which has been around since 1983—Eater has published an account of its origin. The man behind the dessert is one Alan Drazen, who was working in management at ice cream company Jack & Jill when he conceived of the Choco Taco. According to Eater, Drazen likes to say it came to him as “mirage” when he was in Mexico, but really the backstory is a little less fantastical. Drazen was simply pondering new products for his employer when he came up with the idea. At the time, chimichanga and fried ice cream slinger Chi-Chi’s was the country’s hot casual restaurant franchise, while the moment when salsa became more popular than ketchup was just a few years away. “Mexican food was the fastest-growing segment of the food industry, and the taco was the most recognizable shape,” says Drazen. 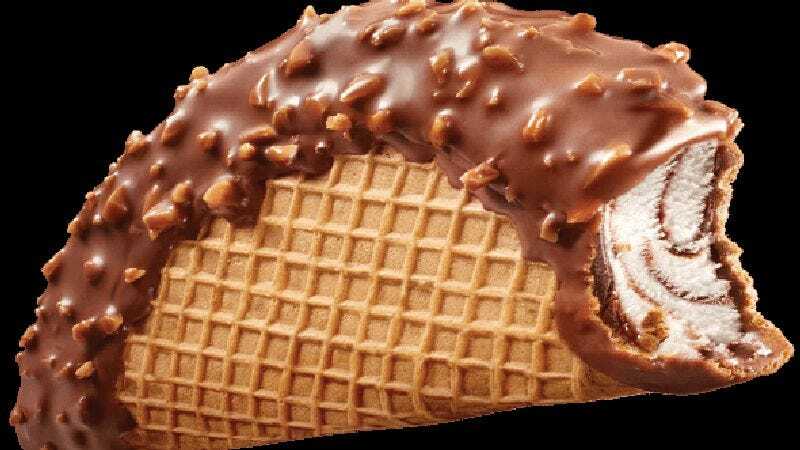 The story goes on to explain how the formula for the Choco Taco has changed over time—Taco Bell introduced the “light ice cream” component—and how hoity-toity chefs like Cronut mastermind Dominique Ansel have toyed with the concept. So get thee to a freezer, pull out a Choco Taco, and read about its history.